Tim Newburn is Professor of Criminology and Social Policy, London School of Economics. Prior to joining LSE, he was Director of the Public Policy Research Unit at Goldsmiths College from 1997, having previously worked at the Policy Studies Institute, the National Institute for Social Work, the Home Office and Leicester University. He is the author or editor of over 30 books, including: Permission and Regulation: Law and Morals in Post-war Britain (Routledge, 1991); The Future of Policng (with Morgan, Oxford University Press, 1997); Private Security and Public Policing (with Jones, Clarendon Press, 1998); Handbook of Policing (Willan, 2008); Policy Transfer and Criminal Justice (with Jones, Open University Press, 2007); and, Criminology (Routledge, 2012). 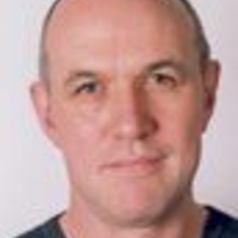 Tim Newburn was President of the British Society of Criminology (2005-08) and Director of the Mannheim Centre for Criminology (2003-08) and was elected to the Academy of Learned Societies in the Social Sciences in 2005. With Paul Rock and David Downes he is currently writing an Official History of Criminal Justice.